A modern take on a station entrance above as we see the entrance to the Birmingham platform on Butlers Lane, August 2003. 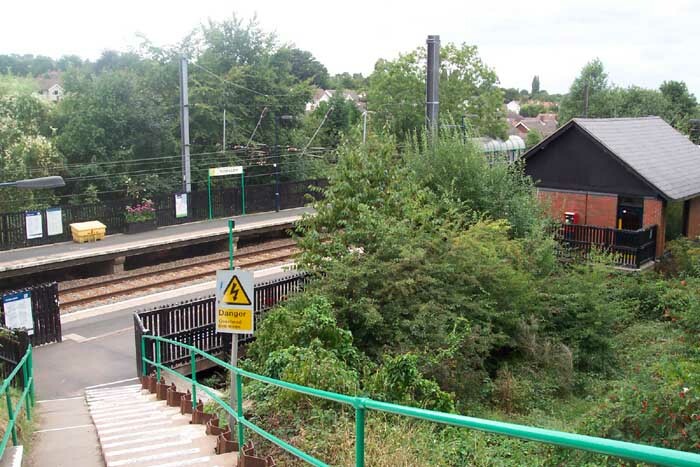 Opened in 1957, the final year of independent rail company ownership, on the LMS line between Sutton Coldfield and Lichfield, Butlers Lane began life as an unstaffed halt and remained so until 1991 when work was undertaken to construct a station building which was completed in 1992. 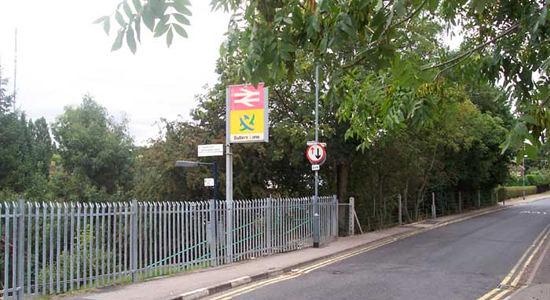 Above-left we are standing on the Birmingham platform looking at the Butlers Lane road overbridge towards Four Oaks. 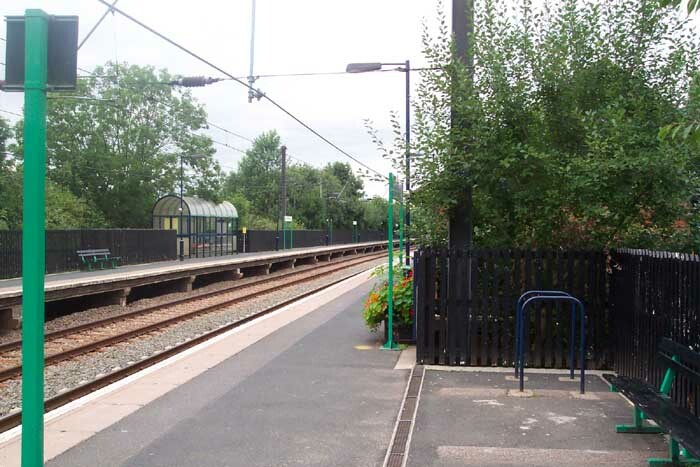 There are two entrances to the station - one either side of the bridge serving each platform. To cross the line, you need to exit the station and cross the road overbridge and re-enter the station on the other side of the tracks. Above-right we are again on the Birmingham platform but looking towards Blake Street - note the typical 'bus shelter' on the Lichfield platform. 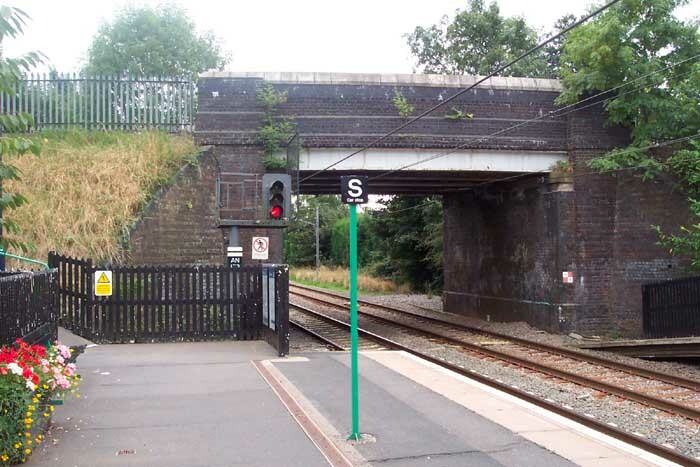 It is interesting to note the construction differences between this station and those of the pre-BR era on this line: Butlers Lane appears to be no more than slabs of concrete on breeze-block supports - a far cry from the craftsmanship that went into creating Sutton Coldfield or Four Oaks, for example. Above-left we are looking down the entrance pathway to the Birmingham platform with the station building to the right of the shot. It must be said that although the station has a ramped entrance as a cursory nod to disabled access, the gradient is so steep to the platforms, notwithstanding the fact that with the station building on the platform itself to obtain a ticket for a Lichfield bound train would be somewhat of a mission, that it is one of the more inaccessible stations on the cross-city line. 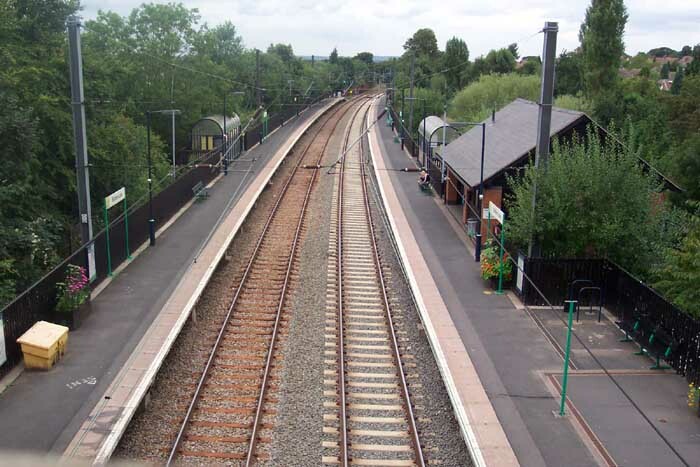 Above-right we are looking down on the station from the Butlers Lane bridge facing Lichfield.